Stop! Before you respond to those negative reviews about your business! Here's what you should, and should NEVER do! Online reviews act as your most important aspect of customer service in this digital age. In fact, 84% of people trust online reviews over other avenues to learn about new products. To capitalise on this, you need to know how to respond to these online reviews. Because of the importance of online reviews, many businesses get discouraged by negative reviews. If you know how to respond to these reviews though, you can turn any review into a positive for your company. Honest people share online reviews to help others make informed decisions. They also share these reviews to help businesses improve their service. Negative reviews can help you improve if you deal with them well. In fact, if you only have good reviews, people might conclude that your reviews are fake. 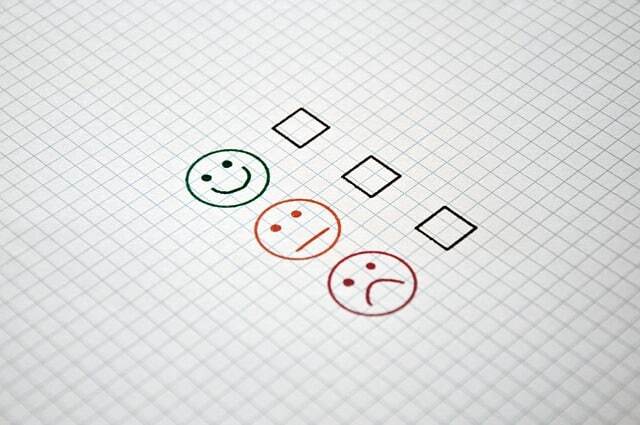 85% of customers expect to see some negative reviews to help them make informed decisions. To do anything with online reviews, you first need to encourage your customers to leave reviews on trusted sites. You want them to leave reviews on sites such as Google or Yelp. You also want them to review your business on social media sites such as Facebook. You also need a good plan in place to find online reviews on these sites. You can't learn anything or respond if you don't know what people have to say about you. This requires a good team to search the different sites to find what people say. As long as you have a mix of good and bad reviews, you have the opportunity to capitalise on these customer service situations. People look more to the number of reviews available in these situations and the average ranking. Once you find your online reviews, you need a plan in place to respond to them. It's important to respond to all reviews to show you care about your customers. You want to respond quickly to these reviews to show your care and concern. This becomes more important when dealing with negative reviews. You also need to know the difference between a true review and a troll. Trolls are people that create fake reviews to gain attention, and these reviews are not worth your time. It's important to verify the truthfulness of the review before you respond. Verify that the person is an actual customer. Also, make sure you know the details of their interaction. Verification allows you to respond in an informed manner. You will know what's truth and what's raised emotions so you know what you can do for the customer. It's important to show respect even to unfair reviews. People's emotions are heated when they leave negative reviews and you don't want to respond in kind. Stick to the facts of the situation when you respond to bad reviews. Don't let your emotions run high, and don't get into an online fight with customers. Responding to a negative review gives you the opportunity to tell your side of the story. That's why you need to verify the facts of the interaction. Make your company's case for the interaction that happened in a respectful way. Explain to the reviewer and readers what happened and why. Some people will get heated during an interaction with a review. If you're not giving people what they want in response they can grow more abusive. To diffuse this, try to take the discussions to a private interaction. If a customer gets too heated, ask them to contact you through a private message, call, or email. Also, ignore heated responses from others not involved with the interaction. How you respond to bad reviews reflects on your overall brand. You want responses to stay true to your brand voice and to remain consistent across all platforms. You also want responses to address real concerns. 86% of consumers will not purchase products from a company with too many negative reviews that don't have well-reasoned responses. Maintaining customer policies proves just as important as the brand voice. It's important for your customers to understand these company policies during every aspect of the interaction. Make sure your responses to reviews follow these company policies. Also, make sure you explain these policies thoroughly in your responses. If you give more than policies allow, other people will expect the same in their interactions with you. An apology can go a long way to diffuse a heated situation. Remember, with online reviews, it's not just the reviewer that sees your responses. How you handle the situation will tell others how you will treat them, as well. Even if the person acts unfairly, make sure you apologise for the inconvenience they receive. This doesn't mean giving in, it means showing kindness for the frustration they feel. Responding to every review you receive sounds daunting, but it's necessary. You need a team in place to ensure you can respond quickly to every review you receive from customers across all platforms. You also need to ensure the team that responds gets training for dealing with these reviews. You want people who will treat your customers well and will know how to answer any questions or concerns that come up. While negative reviews are frustrating, they're also an opportunity to improve your business functions and interactions. You can use the information to improve how you process orders and interactions. Negative reviews are opportunities for your business. For them to work this way, you need a good way to monitor the feedback you receive. A trained support group can help you respond and use both good and bad reviews. Do you need help dealing with your reviews? Find out how our trained group can help you monitor and respond efficiently.